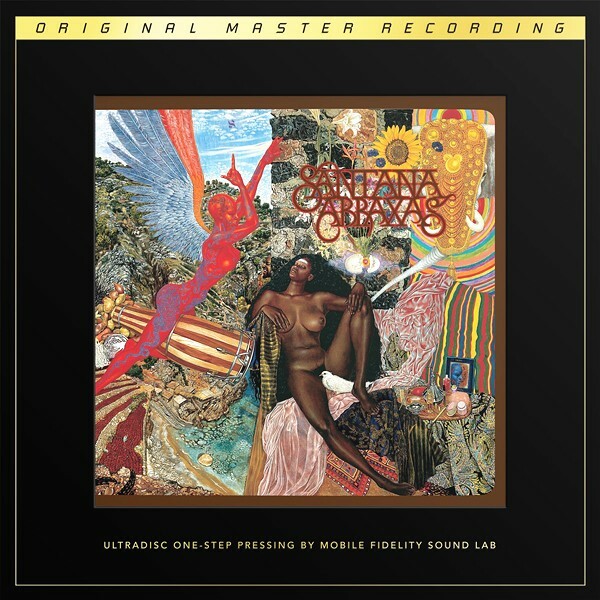 Second studio album from the Carlos Santana band and widely acclaimed as his masterpiece, presented here with corrected stereo channel orientation, newly remastered and sounding better than ever as the result of being expertly remastered from the Original Analog Master Tapes by MFSL with the new Ultradisc One-Step UD1S process! Picking up on the momentum of the band's excellent 1969 self-titled debut and drifting into edgier, more versatile territory, Abraxas is the confident sound of Santana stretching out and carving its own Latin rock subgenre. The 1970 set immediately captured the public's ear, spending six weeks as the nation's #1 album and spawning the cosmic "Black Magic Woman" as a Top 5 single that's since become one of the most widely recognized songs in history. A confluence of celebratory vibes, bluesy jams, mellow vocals, and hip-shaking grooves, Abraxas is a cornerstone of any music collection and nothing short of legendary. Mysticism and spirituality abound. Wild, free, and loose, Santana conjures the feeling of mountains and rivers on the lead-off instrumental "Singing Winds, Crying Beasts," leads a salsa parade on the definitive version of Tito Puente's "Oye Como Va," and explores its sensual side on the stellar showcase "Samba Pa Ti," a tune indicative of the album's Latin vibes and percussion. Sonically, Abraxas takes advantage of studio techniques such as cross-fading and mixing lacking on its predecessor. Mobile Fidelity's Premier UltraDisc One-Step Release: Mastered from the Original Master Tapes, Santana Abraxas UD1S 45RPM Box Set Reaches Sonic Heights Never Before Achieved by Analog. 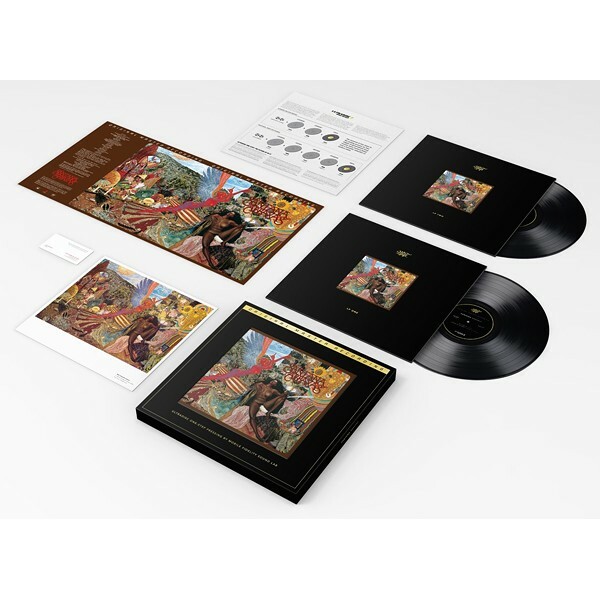 Deluxe Packaging Includes Opulent Box, Special Jackets, Unique Insert, and Fine-Art Print of the Original Mati Klarwein Painting: No Expense Spared Exclusively Limited to Just 2500 Copies. Get Literally and Figuratively Closer to the Music of Santana's 1970 Masterwork: Includes "Black Magic Woman" and "Oye Como Va". 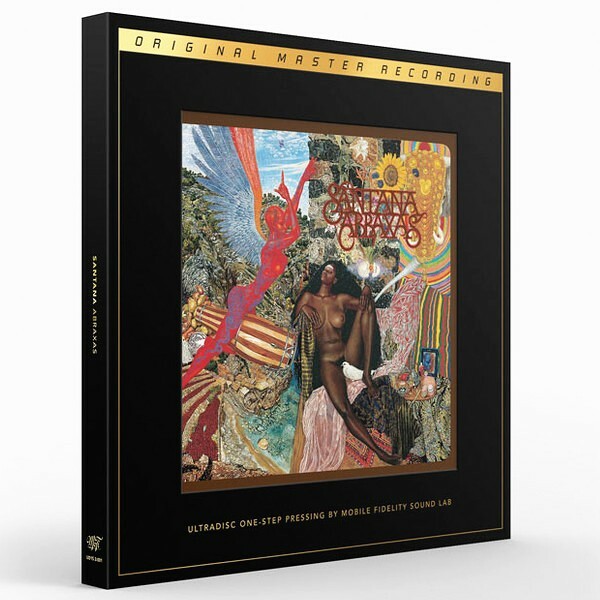 Santana's iconic Abraxas, the debut release in Mobile Fidelity's exclusive UltraDisc One-Step (UD1S) series, reaches three-dimensional sonic and emotional heights never before attained by analog recordings on this extremely limited 180g 45RPM vinyl 2LP box set. 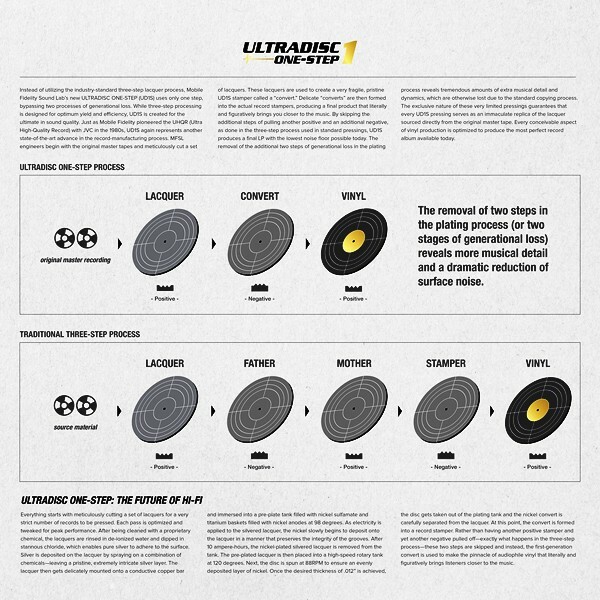 Created in finite batches for the ultimate in sound quality, UD1S uses a one-step lacquer process that yields vinyl with the lowest-possible noise floor, exponentially greater details, and significantly enhanced dynamics. This ultra-hi-fi audiophile edition literally and figuratively brings you closer to the music of this 1970 masterpiece, which spent six weeks atop the charts and spawned the cosmic staple "Black Magic Woman." Experienced via UD1S, Abraxas is the ultimate confluence of celebratory vibes, bluesy jams, mellow vocals, and hip-shaking grooves. You've never heard Santana's peak creations come to life in such lifelike fashion or against such dead-quiet, squid-ink-black backgrounds. The deluxe packaging and gorgeous presentation of this Abraxas pressing befit its extremely select status. Housed in an opulent box, this UD1S edition contains special jackets and a unique insert that further illuminate the genius of the recording. 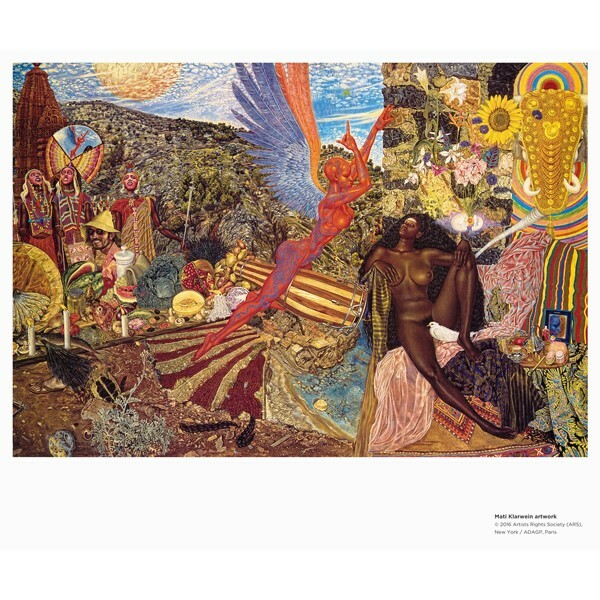 A special fine-art print of the original Mati Klarwein painting used on the cover, and which depicts the image in its entirety, is also included. No expense has been spared. Aurally and visually, this Abraxas is the intentional opposite of the modern era's mindlessly dismissive ways of hearing music. It is a curatorial artifact meant to be preserved, poured over, touched, and examined. Intended to be passed on to future generations. it is made for discerning listeners that prize sound and creativity, and who desire to fully immerse themselves in the music – and everything involved with the album, from the graphics to the textures. Most fans don't require any introduction to the exotic worlds conjured by Abraxas. Thematically, mysticism and spirituality abound. Wild, free, and loose, Santana evokes the feeling of mountains and rivers on the lead-off instrumental "Singing Winds, Crying Beasts," leads a salsa parade on the definitive version of Tito Puente's "Oye Como Va," and explores its sensual side on the stellar showcase "Samba Pa Ti," a tune indicative of the album's Latin vibes and percussion. Abraxas also takes advantage of studio techniques such as cross-fading and mixing lacking on its predecessor. 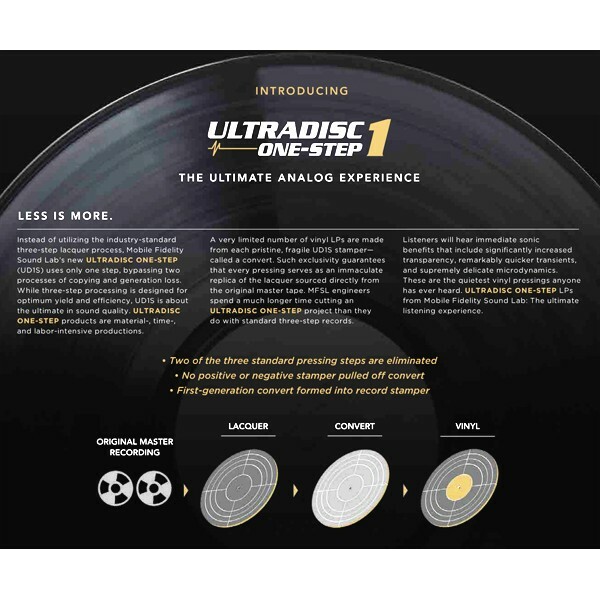 These aspects – as well as the finest nuances of Santana's guitar tones, decay of Gregg Rolie's organ, percussive ripple of Jose Areas' timbal and conga beats, and low-end sway of Dave Brown's bass – can be enjoyed in complete full-range, spectacularly balanced glory on UD1S.